Having a beautiful landscape does not mean you have to spend hours in your yard. Installing an automatic sprinkler system will make your lawn greener and lush, as well as keeping your shrubs and flowers healthy. An irrigation system is a great way to increase the value of your home, nourish your landscape, and enjoy more free time. Pope Lawn Care & Landscaping is the best in the region for designing and installing QUALITY irrigation systems for your residential or commercial property. Our technicians are experienced, and we use quality Rainbird and Hunter materials to keep your lawn and landscape looking its best from spring to fall. 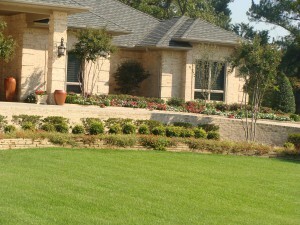 Call Pope Lawn Care & Landscaping today to get a quote on a professionally installed irrigation system for your lawn.